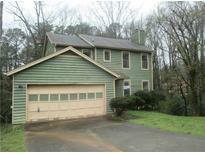 Find Stone Mountain, GA Foreclosures for sale. View Photos, Maps and MLS Data Now! Meadows At Wynbrooke - Dont Miss On This Great Deal. It Wont Last Long. MLS#6534903. The Andora Group, Llc.. Send Offers To: Due Diligence Can Be Done When The Property Is Under Contract. 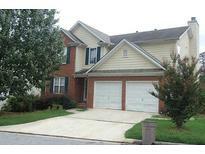 MLS#8522628. Palmerhouse Properties Realty. Hidden Hills - Formal L/R, D/R., Large Master With His And Her Closets. Great Price In This Subdivision! MLS#6522461. Maximum One Greater Atlanta Realtors. It Will Not Be Able To Be Financed Due To Work Needed **** MLS#6515987. Exp Realty, Llc.. Private Backyard With Deck. Property Sold As Is. 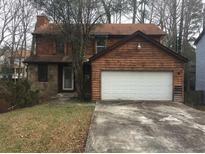 MLS#6512370. Palmerhouse Properties. Washer & Dryer On Main Level. Lots Of Beautiful Windows Throughout. MLS#6510362. Coldwell Banker Residential Brokerage. Seller Is Accepting Highest And Best Offers Until March 5, 2019. MLS#6507831. Solid Source Realty, Inc.. Hurry Before This Baby Is Sold! MLS#6504383. Keller Williams Buckhead. Property Needs Some Tlc And Has The Potential To Make The Perfect Home. Please See. MLS#6127346. Keller Williams Realty Atl Part. Cash Or Conventional Only - No Fha. 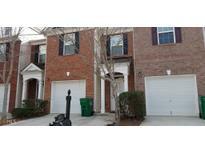 Approved Short Sale! MLS#8518147. Trinity First Realty Services. Dockside At Waters Edge - Needs A Little Tlc, Nice Spacious Open Floor Plan. MLS#6119036. Bhgre Metro Brokers. Following The Initial 15 Day Listing Period, All Subsequent Offers May Be Evaluated As They Are Received. MLS#6117573. Palmerhouse Properties. Take Your Pick At Your Entertaining Spot Either In The Spacious Basement Bonus Room Complete W/ Fireplace, The Brick Patio Or The Screened In Porch. MLS#6111614. Keller Williams Realty Atl North. Don'T Just Stop Here Head Over To Show Now! ! 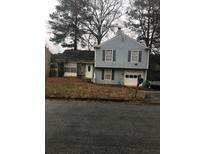 MLS#8481889. The Brinkley Realty Group Llc. This Is A Short Sale, Subject To Lender Approval. MLS#6098029. Exp Realty, Llc..
*** Agents See Private Remarks For Access & To Make Offers *** MLS#8478137. Exp Realty Llc. Home Is Ready For Your Special Touches And Being Offered As-Is For Immediate Sale. 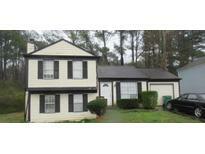 MLS#8472717. Palmerhouse Properties & Assoc. Home Is Ready For Special Touches And Being Offered As-Is For Immediate Sale. MLS#6089531. Palmerhouse Properties. Work Out Facilities 5 Minutes Away, Mall, Restaurants, A Friendly Community. Hurry! 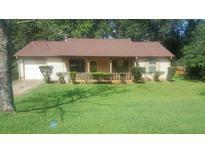 MLS#8455693. Re/Max Grand South. Hurry By Today It Won'T Last Long! MLS#6068694. J Stedman And Associates, Inc.. Waters Edge - New Flooring On Main Level, Active Hoa, Amenities Include A Gorgeous Lake, Clubhouse, Swim/Tennis, Parks, Playgrounds, Close Proximity To Shopping, Restaurants, Entertainment With Quick Access To Major Highway 78 And Quick Access To I285 And I85. MLS#6057284. Re/Max Legends. Owner/Occupant Offers Only Through Oct. 4, 2011. 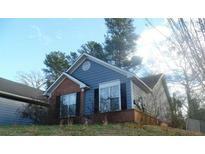 MLS#3126771. Era All Points Realty.Com.